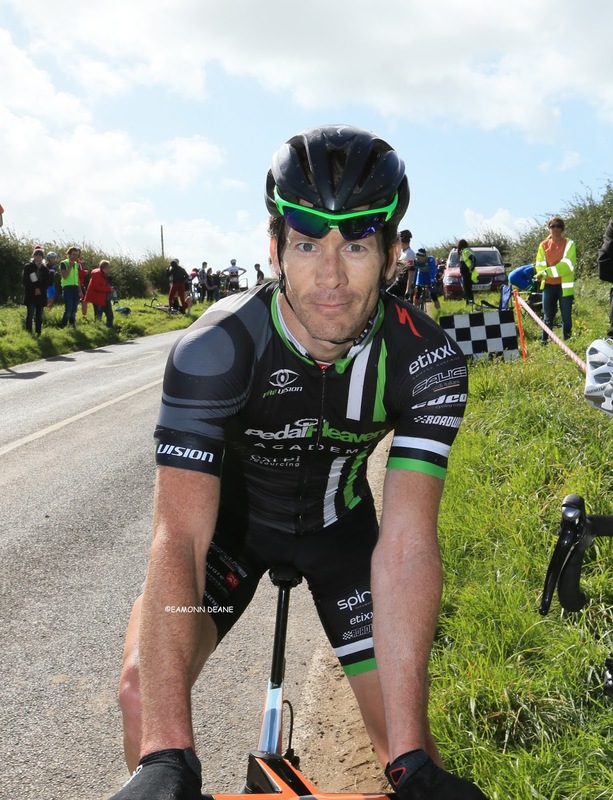 After racing in Spain almost every weekend for the last 7 months, I had decided to finish the season off at the Purbeck road race in Dorset back in the UK. I was flying back to the UK from Madrid the evening before the race, so it would be a tight schedule to pull this race off. My flight landed at Bristol at 6.45pm on Saturday evening, but I was waiting in arrivals for my bike bag for over an hour, and then we had an hours drive down to the Travelodge at Ilminster, so it was 9.30pm by the time we set to rebuilding the bike inside the Travelodge. It was touch and go, as the nut that secures the expanding fork bung had become stuck, rattling around inside the head tube of the bike. When we had eventually refit the forks on the bike, we discovered that the rear mech hanger was severely bent. This was a disaster, and eventually we improvised some leverage and managed to straighten it using a claw hammer and an adjustable wrench! I took the bike out for a spin in the Travelodge car park in the pouring rain, and the gears didn’t shift perfectly, but it was good enough to get me through the race. By this time it was almost midnight, and we had to be up very early for the 90 minute drive to be at the race for around 8.30am. So after a decent 6 hour sleep, but still feeling very tired after all the travelling and messing around, I found myself starting my last race of the season, back in the English countryside. I wasn’t at my best, but I felt ok, and I was looking forward to some action, to blow away the cobwebs of travelling. It was a very fast race on a typically British undulating course, with a fast short sharp climb by the finish line, all in all approximately 10 laps of a 5.5 mile circuit, around 97km. It felt unusual racing with only 50 riders in the bunch, after racing in big pelotons of 200 riders on closed roads back in Spain. But the racing was just as hard and fierce, classic British racing, with constant digs and accelerations, where teams are unable to take control due to the nature of the terrain. I remembered the Lulworth circuit from the Primera Purbeck stage race back in 2013, a great circuit, and it was great to be back racing in the Dorset countryside on a lovely September morning. Throughout the race I tried a few digs and attacks off the front, but nothing would work, it was impossible to get away. The race came down to just 30 finishers… all the group coming back together ready for the last climb. I put an attack in on the stretch before the climb, but I was caught by the front runners. It was a battle up the climb, and I crossed the line in 7th place, around 7 seconds behind the winner Warren Jesse of Excel Pedal Heaven Academy. I really enjoyed it, a good race, and a good welcome back into England from my time in Spain. It seemed really strange and a bit scary racing on open roads with traffic coming the other way, but I remembered quickly and soon got used to it. The organisation was top-notch too, with great race support and an abundance of marshals throughout the circuit. Thanks to Tom Stocker and the Bournemouth Jubilee Wheelers for putting on a top late season race. After the presentation, we headed up the A35 and stopped off in Lyme Regis to spend my prize money on some food, then back down the A30 to Penzance, and finally home again, ready for a much needed break.